"'Stockholm' is lightly amusing and watchable — mostly thanks to Hawke — but never makes the case that this is a story that needed to be told"
"A tense and sometimes funny exploration of a famous crime (...) [It] should work well for art house auds before eventually becoming a home-video study aid for students of human behavior." "Anyone coming to this film with the hopes to understand the traumatic underpinnings of the condition might be sorely disappointed (...) As a comedy with a good-natured soul (...) [it] is a success." 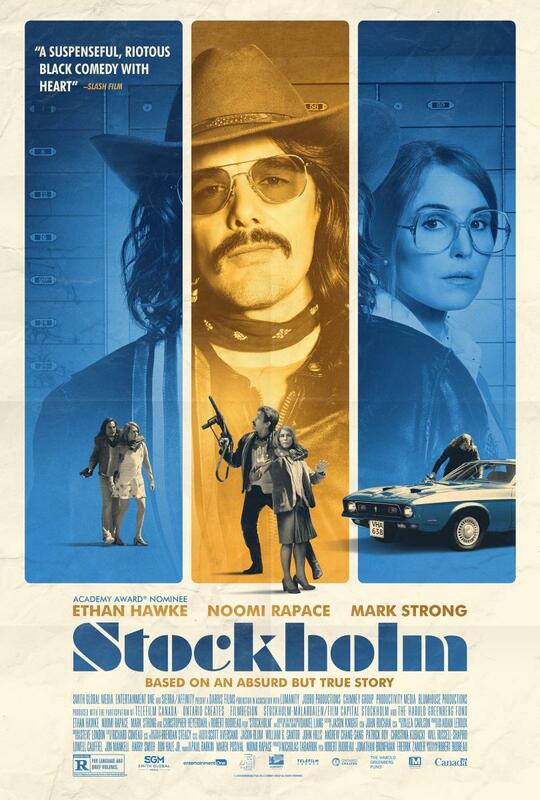 "Budreau’s flippancy doesn’t allow Hawke’s performance to evolve (...) At least Hawke is allowed to be dynamic, and the visceral pleasure he seems to take in performing puts a bit of juice into the film (…) Rating: ★★ (out of 4)"
"This breezy, erratic, and eminently disposable caper leans into that absurdity from the start (...) Hawke makes a three-course meal out of every morsel of dialogue"
"Something mysterious—a contagion of souls—occurred in that vault, and Budreau’s movie, entertaining as it is, leaves us little the wiser."